While iOS 5 looks like a bit of a snooze, today's announcement of OS X Lion looks like a productivity geek's playland. Better navigation throughout the OS, improved file management, and cool sharing features should make Lion well worth its $30 price tag. Here are five ways it'll make Mac users more efficient. 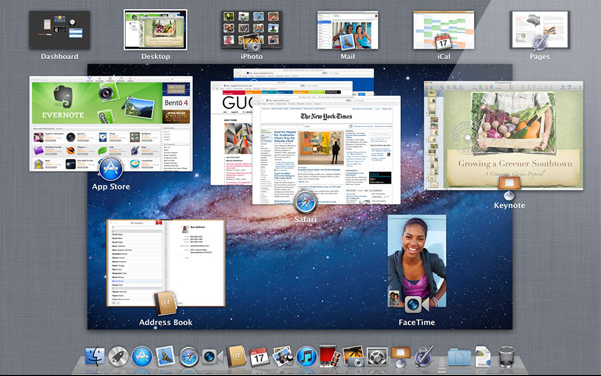 Mission Control will give OS X Lion users a single screen to view everything happening on their Mac.